Gleaming copper and indigo make a stunning statement. 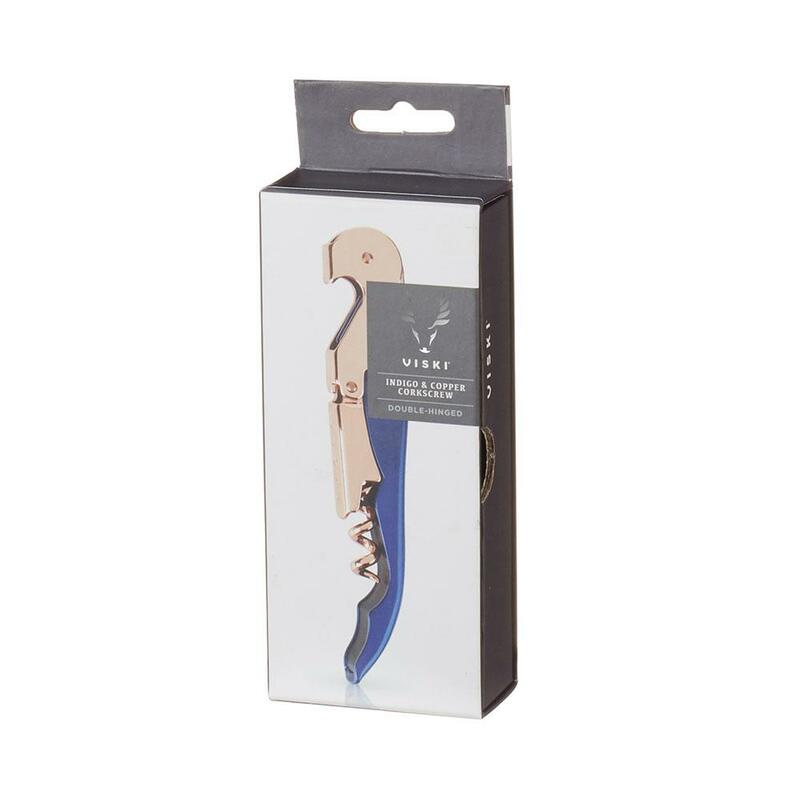 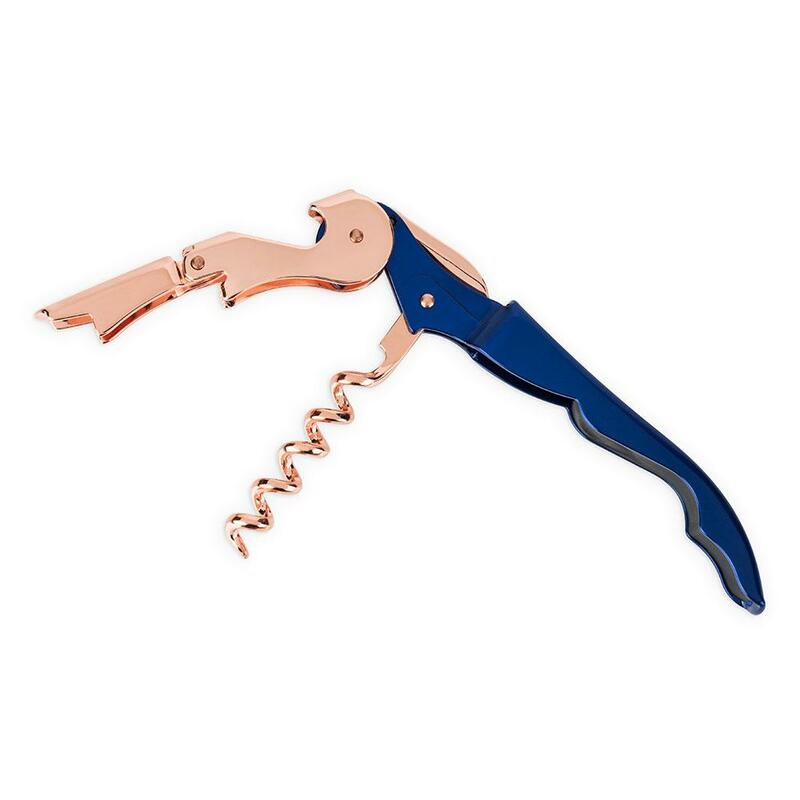 Our next-level wine key features a double-hinged arm, five-turn worm, and handle-integrated foil cutter. 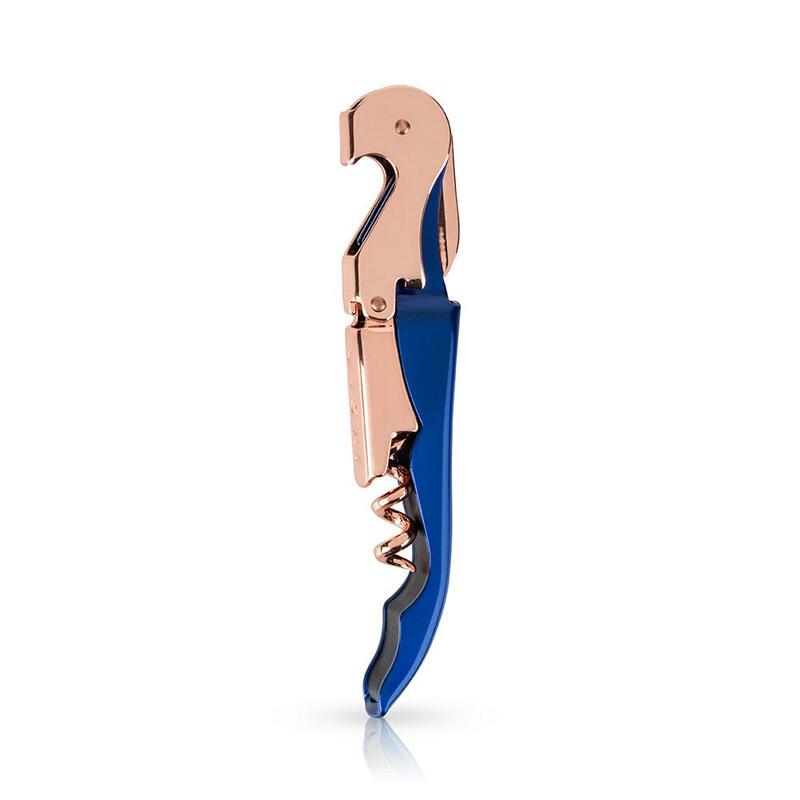 With its colourful accent, it's both elegant and stylish.